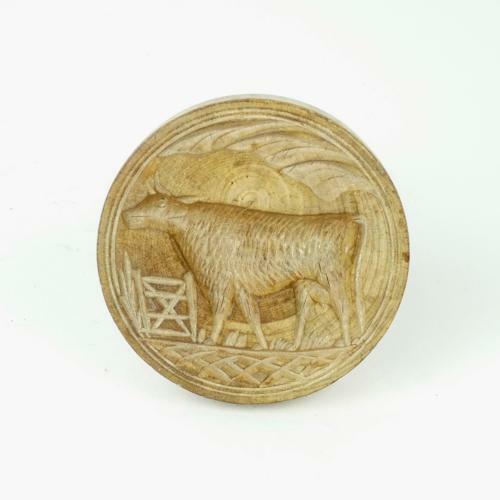 A nineteenth century, English butter print carved with a cow. This is a good quality butter print. It is carved from beechwood and it dates from c.1880. The print and the handle are carved separately and they screw together. The carving is deep and very well detailed although the style of the design is quite primitive. It is in excellent condition and the wood has a lovely, rich, honey coloured patina.